Luxurious villas and condos close to the finest Florida beaches of the Gulf coast. 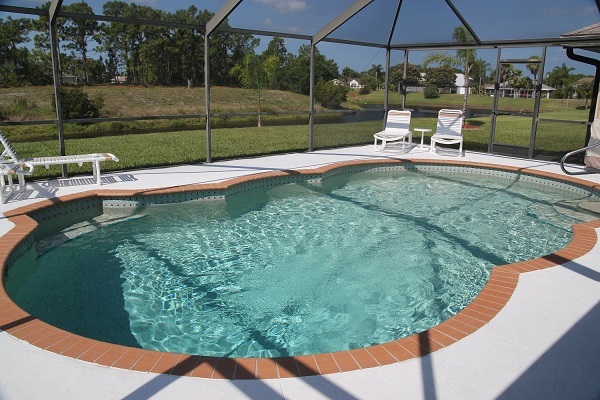 Luxurious Rental Villas with private pool and Condos, all very comfortable, situated near beautiful golf courses and close to finest Florida beaches at the Gulf Coast. Beautiful powdery white sandy beaches. The beaches of the West coast of Florida are among the finest in the world. The Everglades is the largest national park in Florida. With beautiful flora and fauna and rare species, the Everglades is well worth a visit. Take a boat trip, or rent a boat or Jet Ski and see the dolphins swim with you. It's a great experience! All 99 holes of the golf courses in Rotonda have been designed to pose different challenges for both the avid and casual golfer. One of the most satisfying and rewarding things to do in the USA is shopping! Knowing what to buy and where to buy it means you can make unbelievable savings! Florida is known for the worlds best theme parks and offers entertainment for all ages. "Your villa is awesome and we enjoyed it very much. It looks like you put a really personal note to the house. We felt indeed at home." "Your villa is awesome and we enjoyed it very much. Most of all we just enjoyed just sitting at the pool. We had a great time." " In German we would say “gemütlich”. We had a great time!"